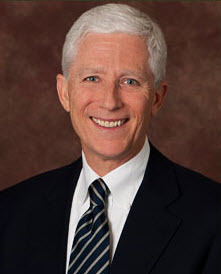 Dr. William Grover is a highly trained, dedicated periodontist who has been setting the highest standards for dental and periodontal care since 1987. A native of Waco, he obtained his bachelor’s degree from Baylor University. He attended the University of Texas Health Science Center at San Antonio, where he graduated in 1980 and was selected for membership in Omicron Kappa Upsilon National Dental Honor Society. He acquired much experience by completing a hospital general practice residency at the U.S. Air Force Regional Hospital at Sheppard Air Force Base. Dr. Grover then completed his training in Periodontology at the University of Texas Health Science Center at San Antonio in 1987. Along with being a Diplomate of the American Board of Periodontology, Dr. Grover’s continuing membership and active participation in professional organizations provides him with the opportunity to influence developments in his field. His professional memberships include the American Academy of Periodontology, the Academy of Osseointegration, the Southwest Society of Periodontists, the Texas Society of Periodontists, the American Dental Association, the Texas Dental Association and the Fort Worth District Dental Society. Dr. Grover was honored by his professional peers as they voted to include him in the 2014 database of topDentists. Dr. Grover also believes it is important to give back to his community. That is why he volunteers his time with the Save-a-Smile program in Tarrant County Texas. In his spare time, Dr. Grover enjoys spending time with his wife, Janna, daughters, Elizabeth and Katherine, and son, Michael. He also enjoys mountain hiking and bicycling, fishing, skiing and running marathons.